When having an outdoor event, mosquitos can become unwanted guests. We provide several types of treatments, evaluating the area and building a program for maximum control of mosquitos. So don’t allow uninvited guests to ruin your party. Enviroteam would like the opportunity to earn your trust. 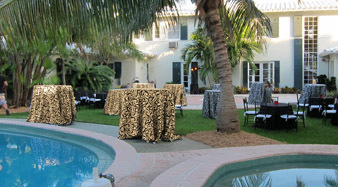 You are one phone call away from having a great party.